I n the 1790s, based on the work of Luigi Galvani (173798), scientists began to study "animal magnetism." Gal-vani identified the movement of the muscles in a frog when it came in contact with two metals (brass and iron) (Pera 1992). The galvanic (direct) currents produced were seen as a "natural" phenomenon inherent to the very composition of the body. With the discovery by Alessandro Volta (1745-1827) in 1816 of the "voltaic pile" (battery), induced currents could be mastered in ways that static electricity never was. Volta showed that what was assumed to be a "natural" product of the body was in fact the result of the generation of a direct current of electricity through contact with metal. Joseph Carpue (1764-1846), one of the first modern cosmetic surgeons, used electricity as a medical treatment for somatic diseases (Carpue 1803). In 1827, Carlo Matteucci (181168) developed the theory of "counter-currents" for the treatment of muscular paralysis (Matteucci 1844: 266). In 1831, Michael Faraday (1791-1867) discovered electromagnetic induction (the faradic coil), offering an enhanced electrotherapy through its alternating electric current. The German neurologist Paul Du Bois Reymond (1831-89) in 1849 formulated the law of electrical muscle stimulation and first employed the faradic coil for muscle stimulation. The French physiologist Guillaume Benjamin Amand Duchenne (1806-75) continued to investigate those points on the exterior of the body, triggering deep muscular reactions when stimulated with "localized faradization" (Duchenne 1855). This discovery led to a wide-ranging therapeutics of the body through the identification of trigger points where induced currents could stimulate the muscle tissue. In Germany, Robert Remak (1815-65) challenged Duchenne's use of "faradic" currents and advocated the use of Volta's battery, which produced direct current. Remak made extravagant claims for the therapeutic efficacy of electricity, which caused a cascade of anatomical and therapeutic studies of his "mystical points" of the body. The "electrical treatment of obesity" was one of the applications of electrotherapy that treated almost every pathology diagnosed through the early twentieth century, understanding them all as having "somatic" rather than "psychological" causes. By the middle of the nineteenth century, "obesity" had become a common medical diagnosis based on the popularity of William Banting's pamphlet. It was understood as a somatic disorder. The American electrotherapist George Miller Beard (1839-83) as early as 1869 treated a wide range of neurological illnesses, including the "American Disease," neurasthenia, with electrotherapy. All of these were understood as somatic diseases of the nervous system. One of Beard's most important disciples was S. Weir Mitchell. Mitchell, who strongly advocated diet as the primary treatment for "nervous" ailments, treated severely underweight patients (but not obese ones) with electricity "for the purpose of exercising muscles in persons at rest" (Mitchell 1877: 62). His case of Mrs. R showed rapid improvement, "gaining thirteen pounds on a weight of ninety-eight pounds ..." (Mitchell 1877: 64). Mitchell followed the application of electrotherapy, being quite aware of the discomfort caused by such treatments, in the light of the anatomical views of the effect of electricity on the muscular system. For him, it was a physiological intervention, which enabled very thin (and therefore unhealthy) patients to gain weight. Little or no attention was paid to the psychological impact of such therapies. By the beginning of the twentieth century, the radiologist Jean-Alban Bergonie (1857-1925) advocated the employment of electricity to create a general sense of stimulation of the body to improve overall health. There had been the use of static electricity to treat "neurasthenic patients with obesity" prior to that (Tousey i9i5: 68). For Bergonie, electrification of the muscles was understood to be a surrogate for exercise. The treatment for obesity was in general the rapid contraction of the muscles of the body to maximize muscle strengthening while minimizing "one cannot say pain, for there is no pain with this treatment—sensation" (Humphris 1921: 209). In the electrification of the muscles treatment, the patient was seated in a "semi-reclining chair" with fixed electrodes and was outfitted with a set of moveable, very large electrodes on the thigh, calf, abdomen, and arms. All were covered with damp towels to enhance conduction. The patient was covered with sacks of sand weighing up to 200 pounds. Treatments lasted from forty minutes to sixty minutes. 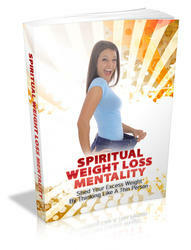 According to the advocates of this approach, patients lost weight and gained "general well-being." In one case cited, a patient lost 1.5 inches around his neck, as well as 3 inches from his waist in three weeks. The fact that he only lost 7 pounds suggested he had gained muscle mass. While it was recommended that fruit, vegetables, and salad be consumed, diet was seen as a minor aspect of the overall treatment (Humphris 1921: 217). In addition, electrotherapy was often used to treat what was seen as the pathological results of obesity, the "failure or perversion of nutrition," including diabetes (Hedley 1900: 206-10). Alternative forms of therapy, such as "hydro-electric baths," were also employed, with the patient seated in a warm water bath while electricity was applied through the water for half an hour (Tousey 1915: 665). Some physicians also advocated "cephalic electrization" which was "found to produce a loss of weight" as well as treat neurasthenia. The electrodes were placed at the nape of the neck and on the forehead; current was gradually applied for at least fifteen minutes. The result was both a "clearness of thought and ability to work" as well as a loss of weight (Tousey 1915: 418 and 507). There was a powerful edge to the claims of electrotherapy. If obesity was primarily a process that could be reversed by a form of passive exercise, then its harmful side effects could be ameliorated. Many physicians of the time came to doubt the very premise of electrotherapy. Sigmund Freud (1856-1939) recalled that he "felt absolutely helpless after the disappointing results [of electrotherapy . . . T]he successes of electrical treatment in nervous patients are the results of suggestion" (Freud vol. 14: p. 9). Freud was among a growing number of physicians in the 1890s who found electrotherapy unsuccessful. Yet, its powerful associations with the newest technologies of mass electrification allowed electrotherapy to remain seductive until World War II. The electrotherapy of obesity seems to have a similar placebo effect to that suspected by Freud in his patients. The patients undergoing electrotherapy for obesity may lose as much as 20 to 30 pounds but demanded a stricter regimen than the limitations imposed by the physician (Humphris 1921: 218). According to electrotherapists, patients are concerned with improvement in their general appearance and see the physical discomfort as vital to the perceived gain. "Transcend Implantable Gastric Stimulator" (similar to a cardiac pacemaker) has been used to treat obesity in more than 700 patients. Implanted laparoscopically, the device provides ongoing electric shocks to the stomach. According to a study in France, the stimulator produced "satisfactory short-term weight loss ... in a subset of patients" (D'Argent 2002). F.M. Ng of Monash University in Australia is exploring "the effect of subcutaneous electrotherapy in reduction of adipose tissue mass in cellulite" (Ng 2006). Electricity is still in the service of weight loss, without much consideration of its psychological implications. References and Further Reading Carpue, J.C. (1803) An Introduction to Electricity and Galvanism: with Cases, Shewing Their Effects in the Cure of Diseases: To Which Is Added, a Description of Mr. Cuthbertson's Plate Electrical Machine, London: A. Phillips. Factor," New Scientist 144: 58-9. Freud, Sigmund (1955-74) Standard Edition of the Complete Psychological Works of Sigmund Freud, ed. and trans. J. Strachey, A. Freud, A. Strachey, and A. Tyson, twenty-four vols, London: Hogarth. Hedley, W.S. ( 1900) Therapeutic Electricity and Practical Muscle Testing, Philadelphia, Pa.: P. Blakiston's Son & Co.
Humphris, Francis Howard (1921) Electro-therapeutics for practitioners, London: Henry Frowde and Hodder & Stoughton. Make Them, Philadelphia, Pa.: Lippincott. Ng, F.M. (2006) "Intracellular signaling and cancer." Available online at <http://www.med.monash.edu.au/ biochem/research/projects/obesity-diabetes.html> (accessed April 10, 2006). Pera, Marcello (1992) The Ambiguous Frog: The Galvani-Volta Controversy on Animal Electricity, Princeton, NJ: Princeton University Press. Tousey, Sinclair (1915) Medical Electricity, Röntgen Rays and Radium with a Practical Chapter on Phototherapy, Philadelphia, Pa.: W.B. Saunders.